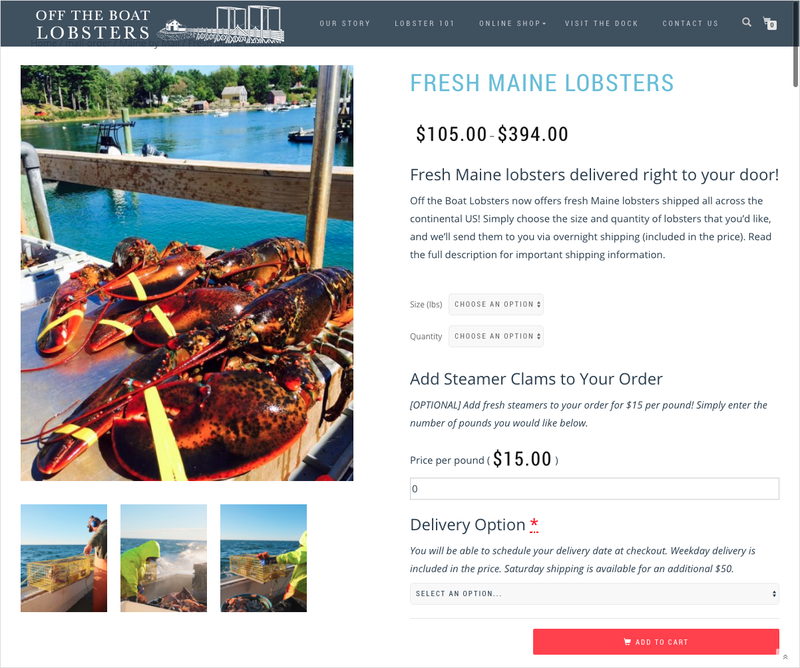 Off the Boat sells lobsters right their fishing pier in York, Maine. 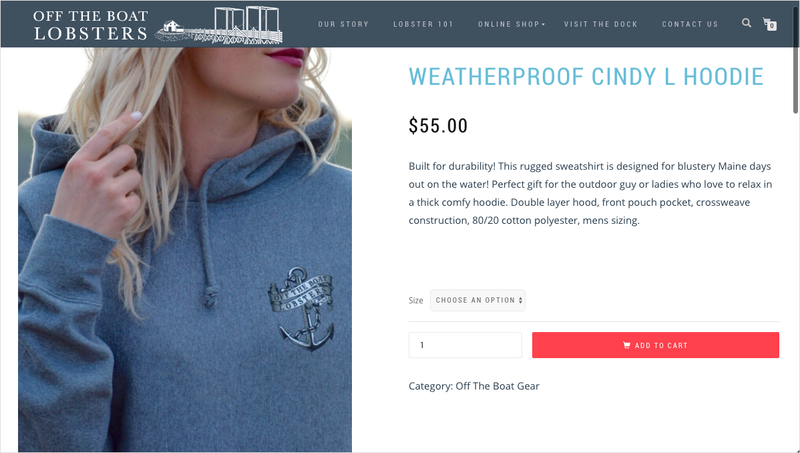 When they came to me, they were already a successful company with a massive following on social media. 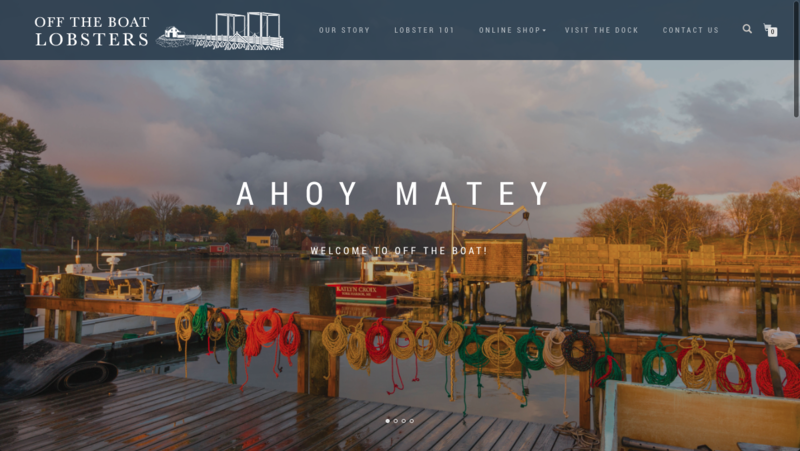 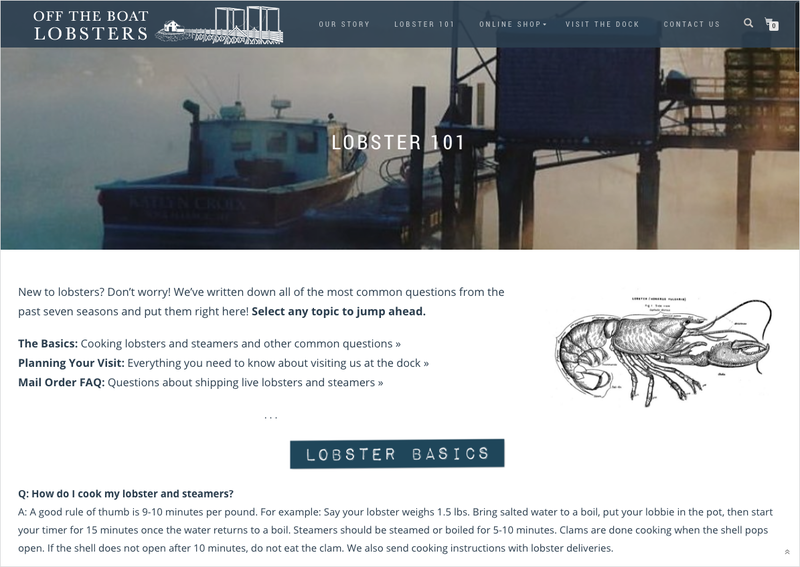 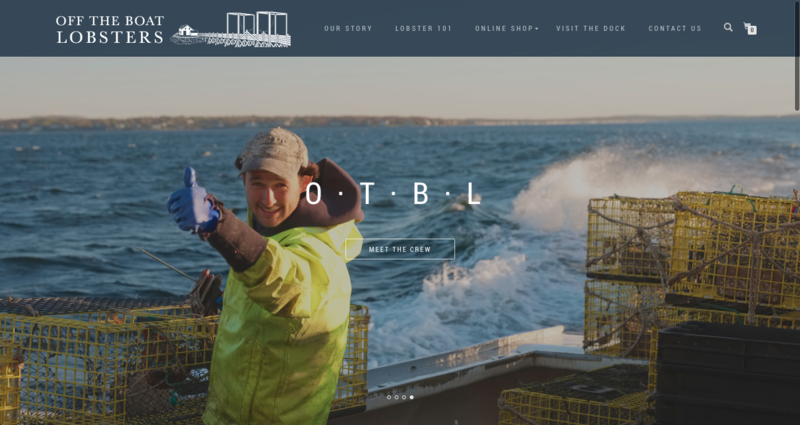 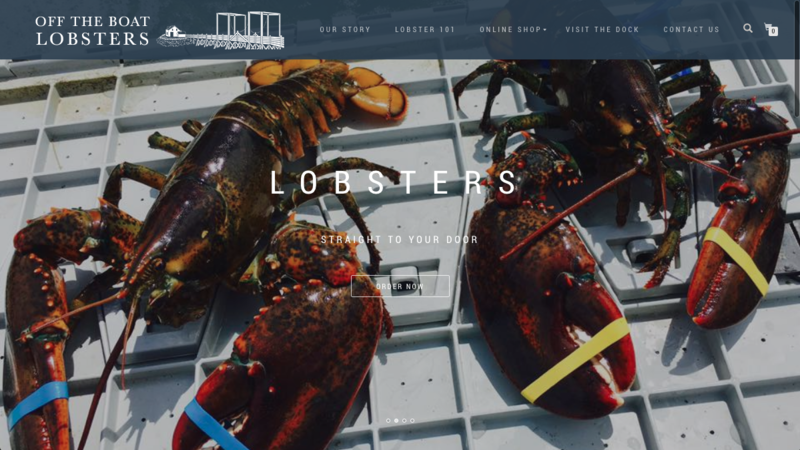 Off the Boat was looking to create their first website and to expand their business to online sales, so I worked with them to create a versatile e-commerce site that allows people to have live Maine lobsters shipped to their homes all over the United States. 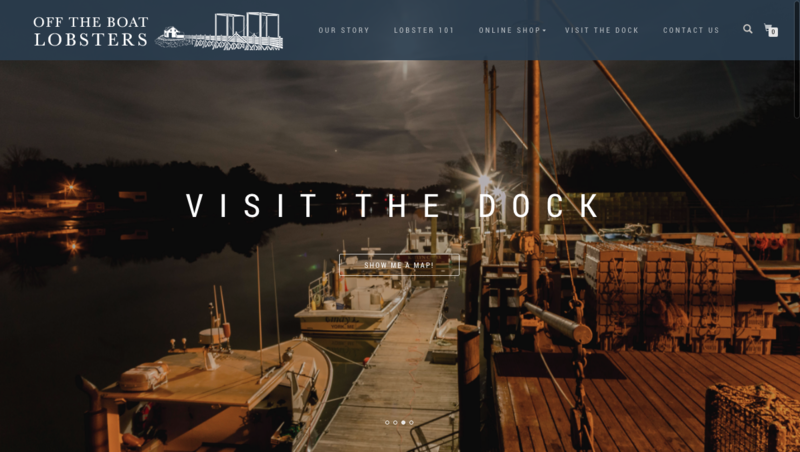 Part of what makes this site beautiful is the artwork. 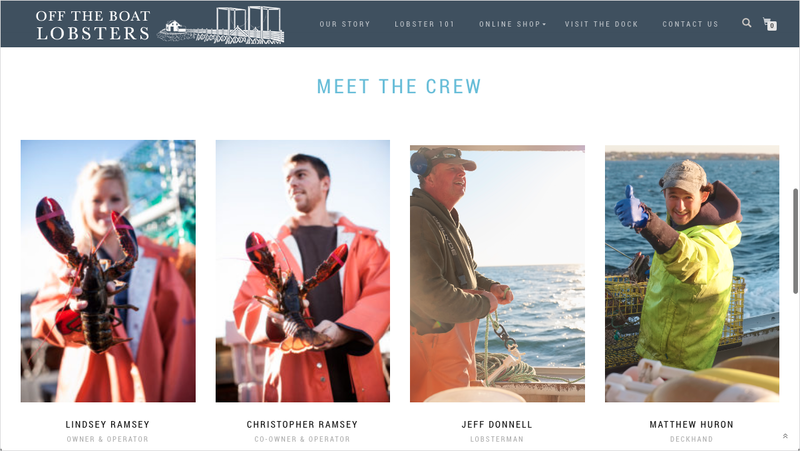 I worked with local artists, photographers, and videographers to create a gorgeous site that represents both the company and the region.